DentalCare @ Nailsea | Thank You! 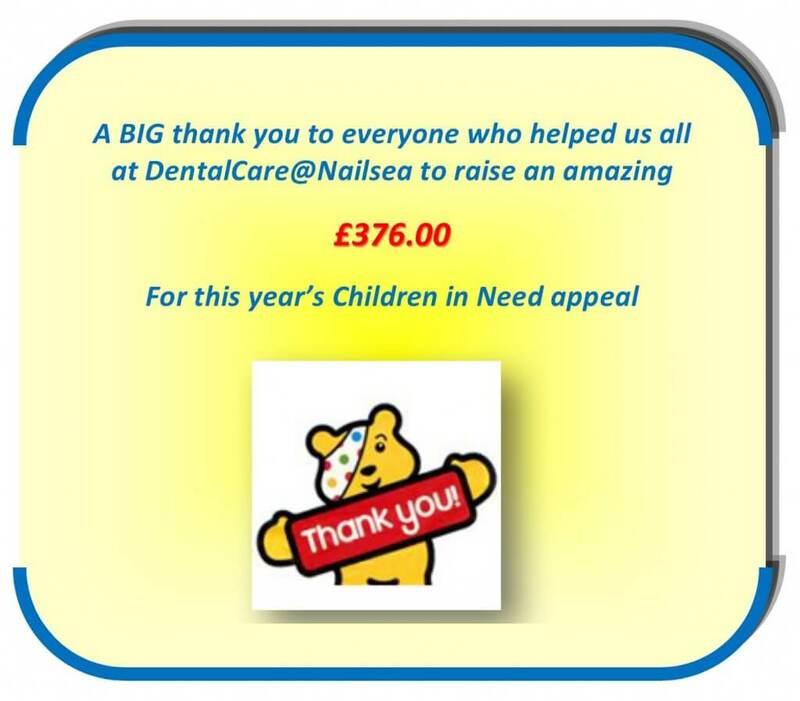 The whole team at DentalCare@Nailsea would like to thank everyone for the amazing support we have had in helping to raise money for this years Children in Need. Congratulations to all our raffle winners who have won some fantastic prizes and of course to our suppliers #Denplan, #Curaprox and #CTS for their generous donations. Also congratulations to our Guess the toothpastes in the box winner who now has a very healthy supply of toothpastes!